Inca ruins are now dotted throughout the valley and the land has a very Peruvian feel thanks to the many authentic villages and towns that populate the region. 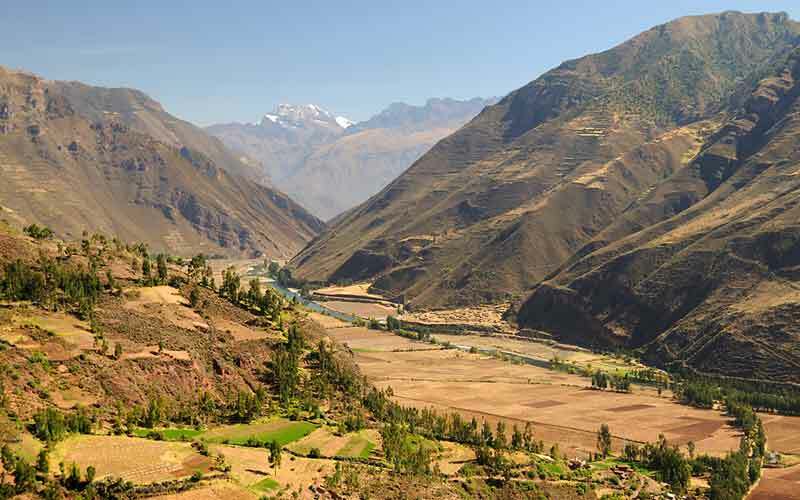 The valley’s rich history and culture make it one of our favourite places in Peru. It’s also a great place to acclimatize to the altitude in Cusco as the Sacred Valley is lower down and gives tourists the time they need for their bodies to adjust. So, if you’re thinking of visiting Peru, then the Sacred Valley should definitely be on your list of places to visit. Below we have provided a list of what we think are 10 best things to do in the Sacred Valley. We have also provided a map to help you get your bearings. Founded by the Spanish Conquistador – Viceroy Toledo, Pisa town was constructed over an original Inca settlement. 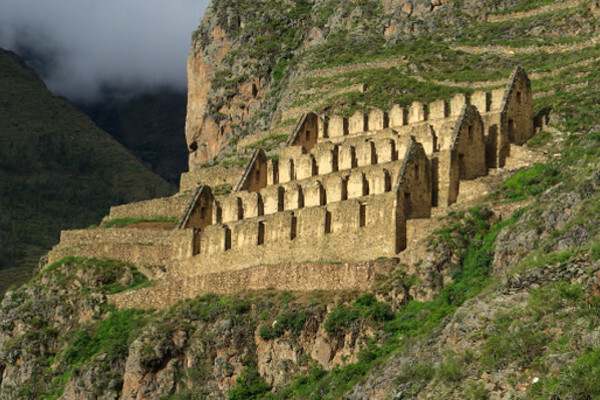 Located close to Cusco, Pisac offers up the top market in the region. Packed with local produce and a wide array of locally produced arts and crafts, Pisac Market is the perfect place for a little shopping. The ruins, which are located just 20 minutes drive from the town itself, are of fantastic quality and well worth the visit. You’ll see military, agricultural and religious buildings, all of which are spread over one large complex! Make sure to walk around the ‘Royal Sector’ of the site. Ollantaytambo is a Beautiful little town located on the far side of the Sacred Valley from Cusco. Lovely cobbled streets and quaint cafes make this a popular destination among tourists. The town is probably the best surviving example of Inca town planning. Be sure to stop at Hearts Cafe for a lovely coffee and snack and then visit the Chocolate Museum! The Inca ruins located in Ollantaytambo are absolutely brilliant and provide some of the best stone work outside of Machu Picchu. Used as a royal residence by Emperor Pachacuti, the temple and fortress are of extremely high quality and should be on anyone list of places to visit in the valley. 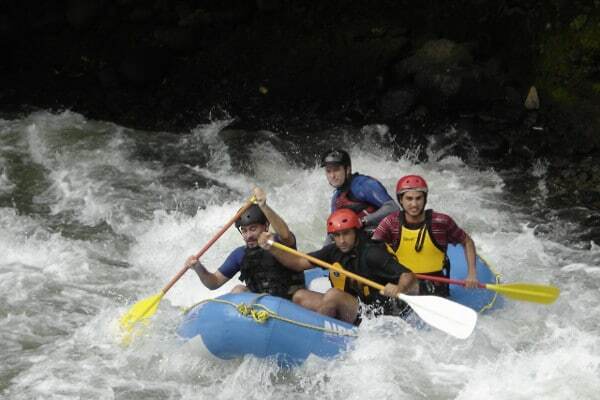 If you’re the adventure type then you won’t want to miss out on some white water rafting and mountain biking when you’re in the valley. Many operators offer both activities and you’ll have a wide choice of locations. A great rafting experience can be found in Ollantaytambo where you can see the Inca ruins from your raft! Mountain biking is one of the best activities you can do in the region and you’ll be able to take in many Inca ruins such as Qenqo, Pucapucara, “The X Zone” and Tambomachay as you wind your along lovely trails and dirt roads. The ultimate adventure activity, paragliding gives you incredible and dramatic views over the entire Sacred Valley. You won’t need any previous experience as all operators offer a tandem glide. Make sure to book with a recommended operator though as your safety is the most important thing. This is one of the most adrenaline filled experiences you can do and you’ll see the Sacred Valley from a vantage point that not many others can claim. 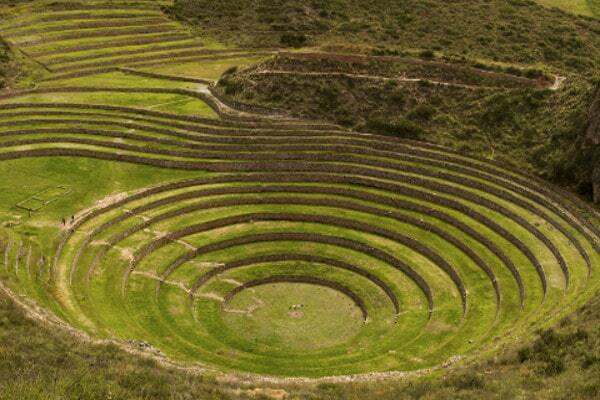 Without doubt, the Inca ruins of Moray are one of the most interesting and beautiful ruins in Peru. Designed like a dug-out amphitheater, scientists are still baffled as to what the site was actually used for. 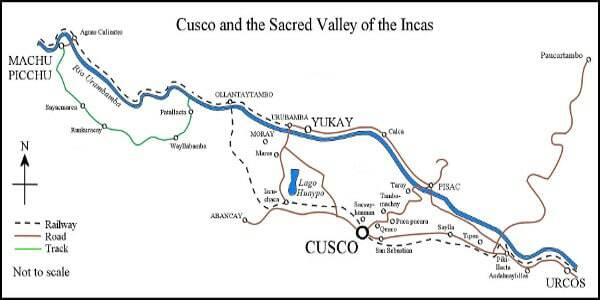 The latest theory is that the Inca people were using it as a sort of test laboratory for crops – who knows. Located near the ruins of Moray is the town of Maras. The town is famous for its local salt-evaporation ponds that have been in use since the Inca period. The salt deposited here would have been shipped out across the entire Inca nation. First brewed in Peru in 1935 by British immigrant José Robinson Lindley, the Inca Kola is known as the ‘Golden Kola’ and comes in a strange clear green colour. 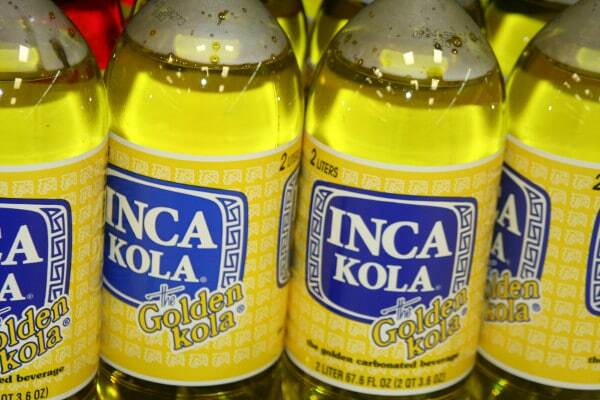 The Inca kola is the pride of the Peruvian nation and Coca-Cola own all rights to the drink except in Peru. We won’t say what it tastes like… that is for you to find out! Another great option for the adrenaline junkies out there! Action Valley is home to a wide array of activities including South America’s highest bungee jump and a 110 metre zip line. 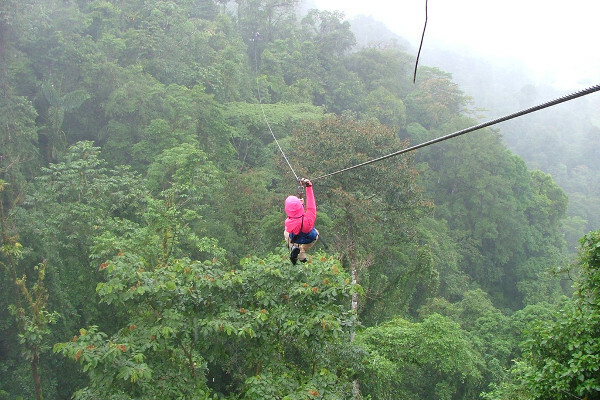 The zipline tour lasts about 5 hours and includes lunch and a trek through the jungle to reach the line. There is also the option to do a quad bike tour (ATV tour). Visit the Action Valley website. Many people in the Peruvian hills still work in a similar way to their ancestors. 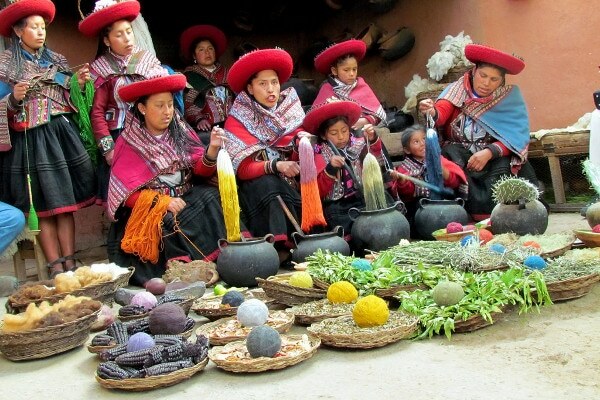 Weaving is one of the most popular crafts in Peru and still practiced by many village people. The village of Chincheros in the Sacred Valley is a great place to give the craft a go yourself! Chincheros is one of many villages that have a weaving cooperative and allow visitors to try their hand at weaving. Don’t leave Peru without trying Cuy – better known as Guinea Pig! 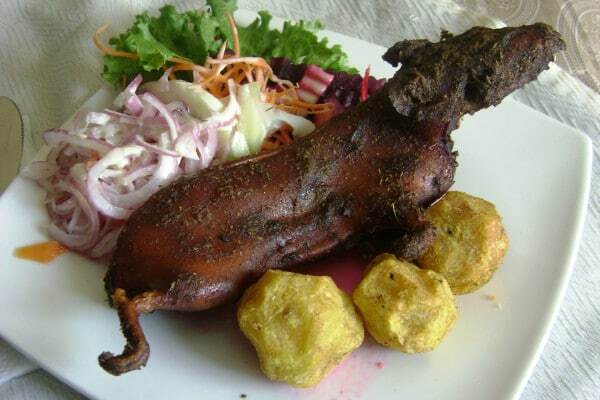 Not for the faint of heart, Cuy is a Peruvian delicacy that can be fried or roasted. It’s been a staple diet for Peruvian people for over 5,000 years and continues to be as popular as ever (it even has a National day named after it!) Almost every restaurant serves it – so give it a try! Possibly the coolest hotel in the world, the skylodges are small glass rooms that hang off the side of cliffs! If you love camping under stars, you’ll love the skylodges. However, if you struggle with heights, this may not be the best option! 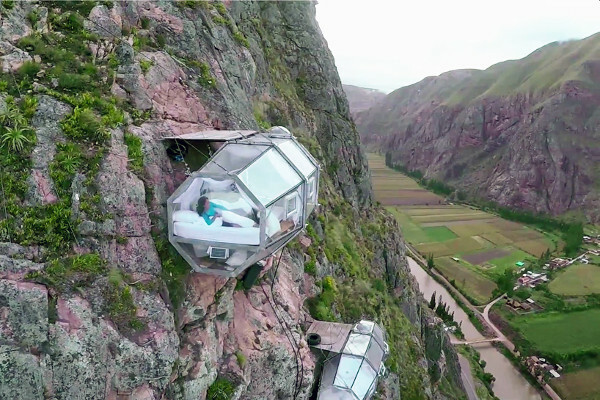 Located just 40 minutes from Cusco, the skylodges don’t come cheap, but they do take in spectacular views (and drops) from your very own bed. 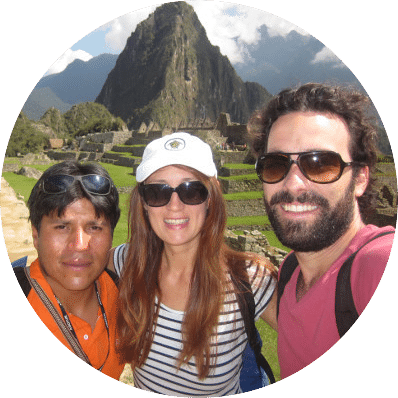 If you have any further questions about things to do in the Sacred Valley, please just drop us a note below and we’ll get back toy you as soon as possible. 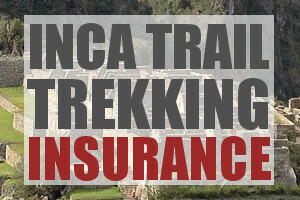 Want to go paragliding in cusco but having trouble getting a hold if anyone to set up. 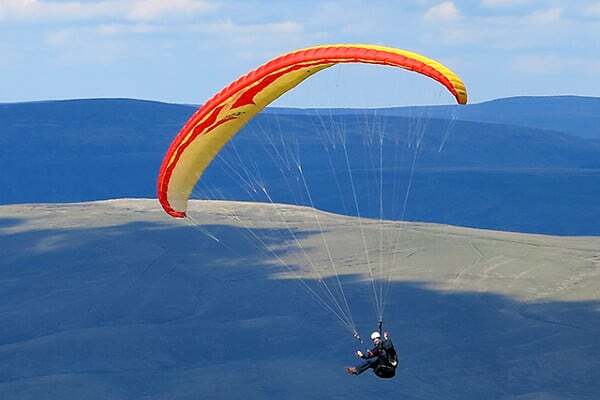 Hi Mark, you can arrange paragliding with a local tour operator in Cuzco on the day. Quite a few tour operators offer paragliding or can connect you with a company that does. Cheers. 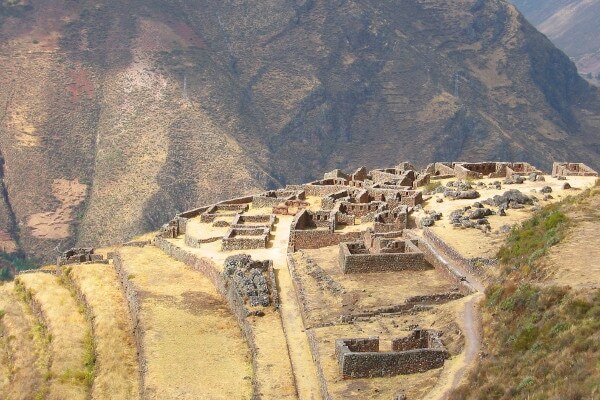 Hi Janki, to see all those sites in one day I would recommend booking onto a Sacred Valley tour. Alternatively, if you are traveling with a friend or two it could be cheaper to negotiate with a taxi operator / tour bus to take you to all those sites. Cheers! Great information. How many days would you recommend to plan for a full Sacred Valley experience ? Hi Michel, You can comfortably explore the Sacred Valley in 2-3 days.